These are all things I miss; they’re things I never saw. The picture above occurred at an intersection I’ve crossed hundreds of times. It’s unrecognizable now, except for the spire of City Hall in the distance. Everything was removed for Urban Renewal, all these venerable stone blocks were knocked into ugly rubble. The overly-romanticized view, which I cheerfully admit to having and abetting - says that these picturesque buildings could have been saved, and the early core of downtown preserved for new uses. But who would have paid? These were old structures, very old, unsuited to modern uses, in desperate need of upkeep. There was simply no money for it. Plenty of money for knocking them down, though. If the urbanists of the time had been as keen on preservation as they were on clearing “Slums,” the money would have been found. The least of these blocks could have preserved the facades; the larger buildings, whose bulk and size still seem astonishing, would have made fine hotels or offices or condos, to name a few uses the surviving buildings of this vintage are put today. In short, this didn’t have to happen, and it was idiocy to make it happen, and it was idiocy wafted aloft by theories of urban design that had little to do with the cities people made, and more to do with the cities our Betters wished us to inhabit. To them the picture above was a nightmare. All those messy signs! Cars everywhere! Old structures with outdated styles! Their mere existence was a rebuke to the future. I’ve redone this section, cleaning up some old errors and clunky designs, and tried to bring it in like with the rest of the Minneapolis site. There are new things, too - but you’ll have to click around to find them. Thanks for the visit! NOTE: This site is not finished. It'll never be finished. Bridge Square, the Pavilion, Washington Avenue. All that we lost. Go HERE. 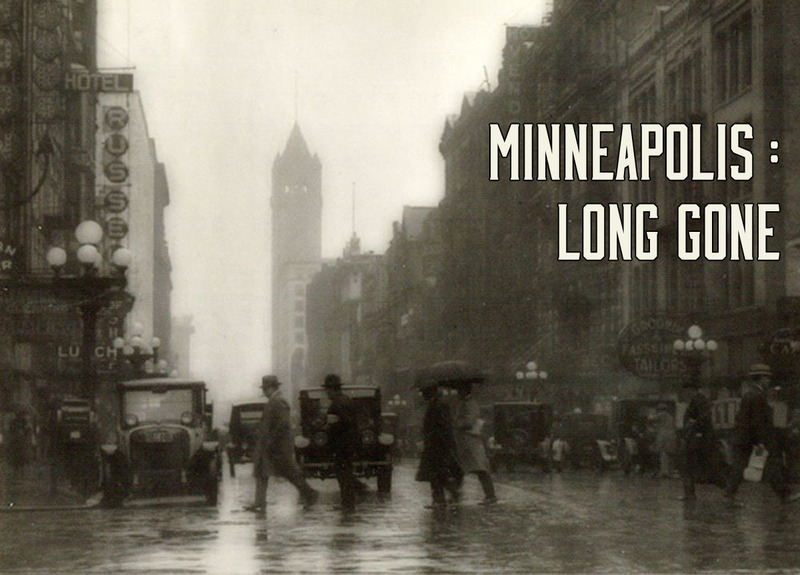 A substantial collection of classic grand Minneapolis hotels - and a few minor examples. Go HERE.